The new patio furniture arrived this week! We didn't even get the cushions unwrapped before it started to rain ~ and rained for two days! But today, the sun came out and I finally got out to unwrap the cushions and place everything where I wanted it it! Neighbor Kitty Tigger likes it too! Along with the chairs, I got a new patio dining set with a big umbrella for shade! It's big enough to gather most of my kids around the table! The yard is getting close to ready for the wedding. The new little fence panels should keep people safe from the deep window well to the sewing room as well as the air conditioner. The furniture sits where the pergola will eventually go. 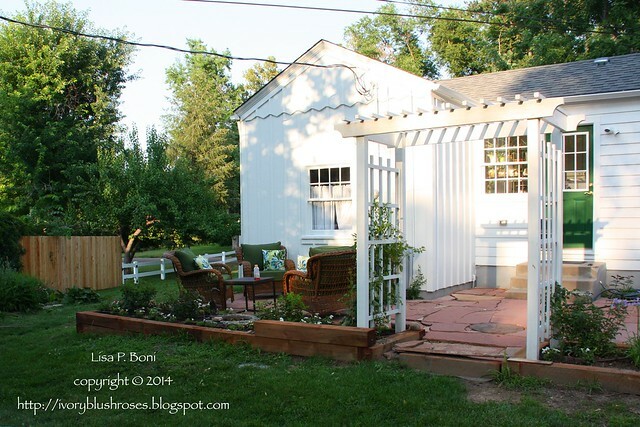 Funny ~ it was the pergola that started this whole big project, and yet it's the one thing that didn't get done! Tomorrow, Jonathan comes to help finish off the last of the work that needs done, including hauling away all the flagstone that I haven't needed! I've been working inside as well. The bathroom was dearly in need of painting, which I finished this morning! So much brighter now that it's no longer a dingy beige! 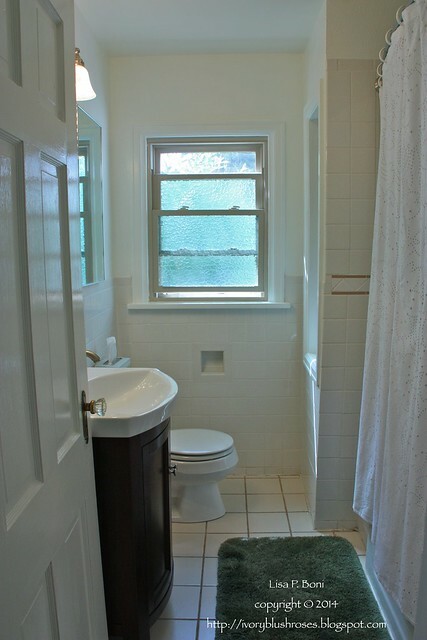 I still have a valance to sew for the window that matches the shower curtain and a small curtain to cover the cubby hole shelves in front of the toilet. There have been wedding projects in the work as well. 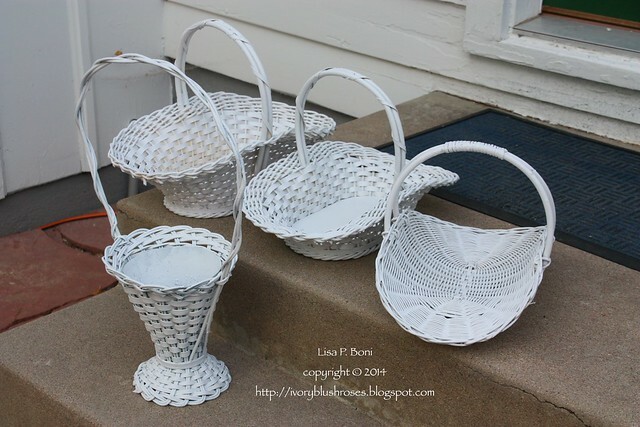 I painted this set of baskets this afternoon that we'll use on the serving tables. This is the headpiece from my mother's veil from her wedding in 1955. It's the only thing we have left from her wedding and Jessie really wanted to use it. The pearls had darkened over the years, so I knew we'd have to replace them. I finished it a few days ago. New white pearls and some slivery glass beads to brighten it up. 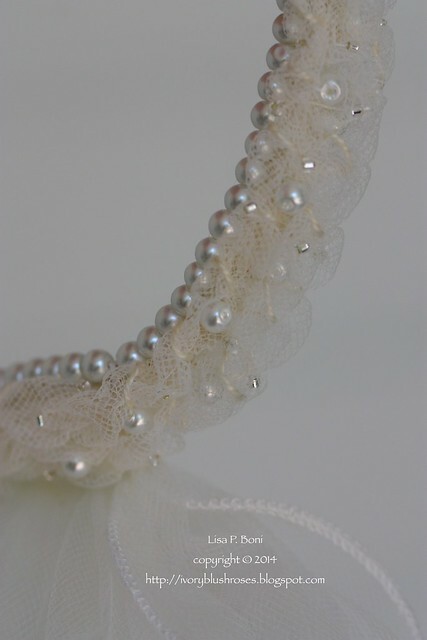 We found the perfect fingertip veil to attach to it. If I have time, I'll add some of the silvery glass beads around it. Now it has just the right amount of sparkle to go with Jessie's wedding gown! I can't wait to see both of them together and to see it all on Jessie! 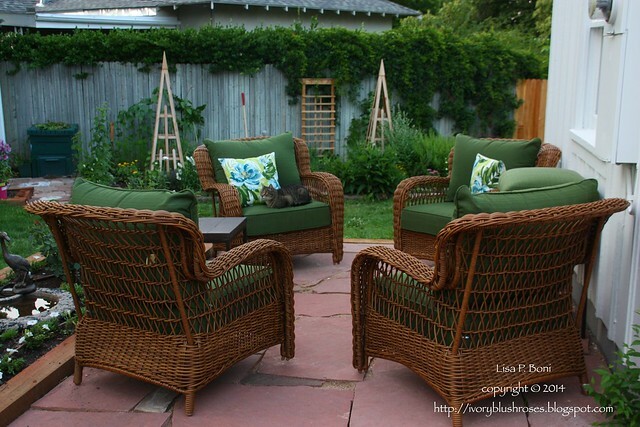 Lisa, the furniture looks great and really finishes the patio. It's all come together beautifully. 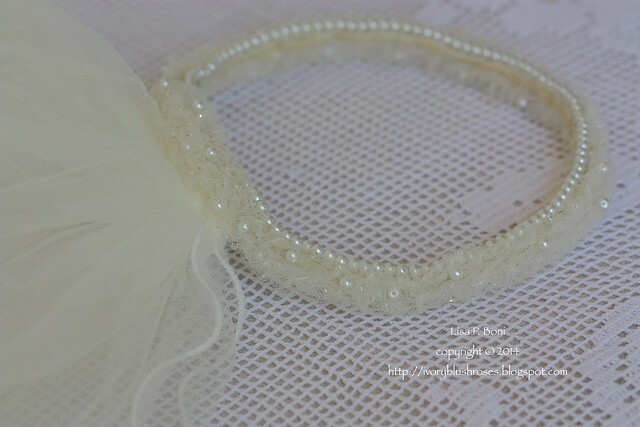 Love how you refreshed your Mum's veil for Jessie, and how lovely that she can wear it for her wedding. Lisa, I am amazed at the talent you hold within your hands. The wedding veil is absolutely beautiful. I love your house and all of the work you have done yourself. You are an inspiration to me and have encouraged me to get going on some of my own home improvements. Blessings to you! 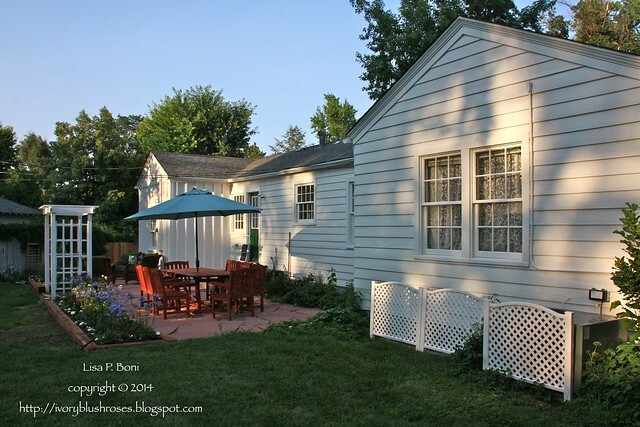 What a transformation there has been - your yard/patio are looking wonderful! And you're busy inside too, working your magic. You must be tired but so very pleased. It's going to be absolutely wonderful for the wedding! Well done Mama!! WOW was my first thought when I saw the patio furniture. It's wonderful, all of it. I am amazed at all that has gone on at your place in such a short period of time. You've inspired me to keep working on my little place. I love the wedding veil piece that was your mother's. 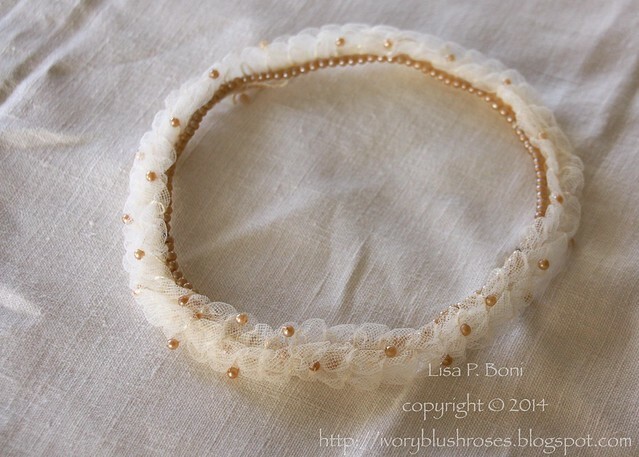 I even liked the older beads, but it looks lovely and sparkly with what you have done to it and I look forward to seeing it on the bride. I'm sure you're all getting excited as the day approaches. Have a wonderful time, and lots of love and blessings to the happy couple. Beautiful veil, I love how you updated it for your daughter. Working your magic all over for this wedding. Thank you for sharing all this and your photographs with us. They are beautiful.